Article: The First Annual Young Entertainer Awards Announces Emblem3 To Present At The Event And See List Of Nominees Here! The first ever Young Entertainer Awards will be making its way to Hollywood in two weeks and it definitely is an event that everyone is talking about! Only in its first year, the Young Entertainer Awards has a lot of spectacular excitement as it will be honoring all of the wonderful young entertainers and their sensational achievements. In addition to recognizing the successes of the amazing entertainers, the Young Entertainer Awards will also be celebrating the terrific families of all of the entertainers who have worked just as hard to support their talented kids’ dreams. The Young Entertainer Awards, which will be taking place on March 20, 2016, has already brought out a lot of phenomenal announcements to everyone. The Young Entertainer Awards just recently spoke with Manny Streetz of 102.7 KIIS FM and Radio Disney about all of the upcoming excitement that awaits at the magnificent award show. This past Friday, March 4, 2016, the Young Entertainer Awards just brought out the news that the one and only, extraordinary band Emblem3 will be presenting at the event. The Young Entertainer Awards shared the exceptional announcement as seen below through their Twitter account. Hosting the event will be Christine Devine, Manny Streetz and Courtney Friel. YouTube sensations Ashley Nichole and Taryne Renee will serve as the red carpet hosts and Alyson Stoner and Jonael Santiago are set to perform at the event. 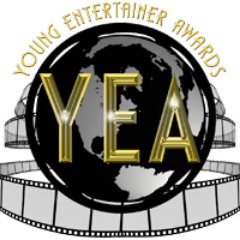 See a full list of nominees at the Young Entertainer Awards below and be sure to follow the Young Entertainer Awards on Twitter: @YEAAwards! Here at Alexisjoyvipaccess.com, I’d like to send a big congratulations to all of the nominees at the 2016 Young Entertainer Awards! Levi Miller Pan Warner Bros.
Oona Laurence South Paw The Weinstein Co.
Niamh Wilson The Young and Prodigious T.S. Spivet The Weinstein Co.
Mandalynn Carlson A Horse for Summer Vertical Ent. Jase Nelson Waking Up Jammers Inc.
Eva Greig My Dad is a Scrooge Mar Vista Ent. Brice Fisher Between 2 Phat Kids Windbreaker Prods. Previous Article: Jake Miller Reunited With His Friends From Florida And Attended “The Brothers Grimsby” Premiere! Next Article: DJ Phenomenon Martin Garrix Set To Release His New Track On His Own Record Label STMPD RCRDS!